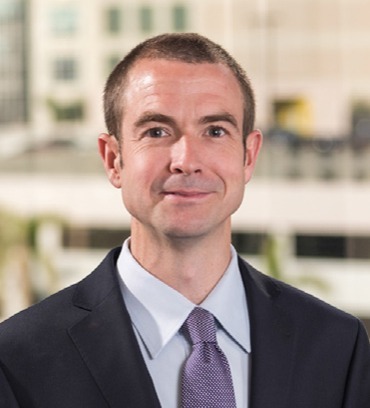 Eric Hager is a partner in the Firm’s Quito, Ecuador office. His practice includes transnational litigation, appeals, commercial fraud & forensic recovery, securities & financial regulatory litigation, consumer finance litigation, general civil litigation, appeals, land use litigation, securities & financial regulatory litigation and trust litigation. Mr. Hager’s experience in complex litigation is varied. He has played key roles in diverse matters in a number of state and federal courts throughout the country and has managed multinational teams on difficult e-discovery and other discovery projects. Mr. Hager has also led or participated in appeals in multiple state and federal courts. He has worked closely with experts on foreign law from Ecuador, Colombia and Peru. Mr. Hager has drafted successful requests for discovery in relation to foreign legal proceedings under 28 U.S.C. § 1782, which is a statute allowing litigants to obtain discovery related to foreign legal proceedings using the assistance of U.S. courts. In addition, he provides the firm’s Latin American clients with assistance in cross-border litigation and transactions. Mr. Hager has experience briefing a wide range of complicated legal issues. Representative issues include choice of law, including between foreign and U.S. law; international comity, forum non conveniens, and other defenses common to transnational litigation; statutory construction of state, federal, and foreign statutes; removal from federal court and remand to state court; the intersection of state property law and federal tax law; standing and capacity to sue; issue and claim preclusion; tolling of the statute of limitations and other timeliness issues; and procedural issues associated with a variety of pre-trial motions, including motions to dismiss, motions for summary judgment, discovery motions, and motions in limine. Prior to focusing on commercial litigation and appeals, Mr. Hager spent over six years primarily representing the firm’s clients seeking to hold multinational corporations accountable for human rights abuses. In that role, he took and defended depositions abroad and in the U.S., obtained a reversal on a key issue from the U.S. Court of Appeals for the District of Columbia Circuit, briefed numerous other appeals, argued pre-trial motions before state and federal courts, and led discovery-related and other field work in remote regions of Colombia, Ecuador and Peru. Before joining the Firm in 2009, he practiced as a commercial litigator, primarily working on consumer financial services matters in the Washington, D.C. office of a large national firm. Mr. Hager is fluent in Spanish, resides in Quito, Ecuador, and has traveled extensively throughout the South American Andean region on business.